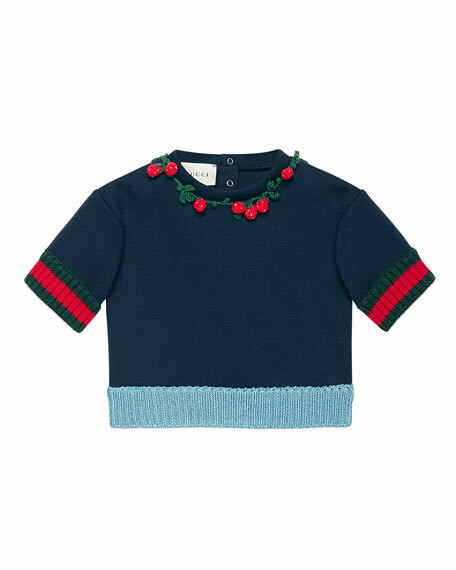 Gucci sweatshirt in neoprene features hand-crocheted strawberry detail. 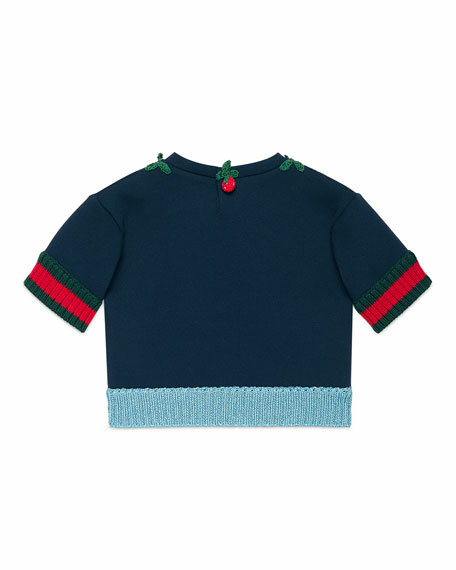 Heavy felted cotton jersey sweatshirt. Gucci and interlock GG logo print. Crew neckline. Dropped shoulders. Long sleeves. Oversized fit. Pullover style. Made in Italy. Gucci sweatshirt with vintage logo print at front. Panther appliqué over logo. Logo details down left sleeve. Crew neckline. Long sleeves. Oversize fit. Pullover style. Cotton. Made in Italy.